When it comes to patient healthcare, we’ve got it covered! 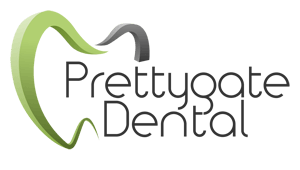 Prettygate Dental has a wealth of knowledge and understanding to ensure the best options for teeth whitening treatment and want nothing more than to see you walk out of our doors with the biggest smile. So let’s be honest, you’ve been avoiding your dentist because you just haven’t had the time to organise an appointment, well, by simplifying your options we’ve made it easier than ever! Our Colchester patients often choose us to help them with their smiles. From our Dentists and Hygiene experts to our very happy patients, here’s our review of safe, easy and affordable teeth whitening treatments. We’ve compared the two most favoured teeth whitening techniques, aiming to help you with some useful material, so that both you and your dentist can decide on a treatment plan that suits your lifestyle and teeth best! Enlighten Evolution is the only whitening treatment to guarantee your teeth will get to a VITA shade B1 – the whitest shade achievable! This revolutionary procedure works by increasing the tooth’s permeability to oxygen, this means you will lose those annoying yellow stains! On average this treatment achieves 12 – 13 shades lighter than other whitening systems. It’s totally normal to be worried about any added sensitivity the procedure may cause, but have no fear, there’s next to no sensitivity and it offers guaranteed results. The process is simple and consists of an in-house visit, followed by 2 weeks of home treatment followed by a 1-hour in-house session in either of our Colchester practices. We’ll customise whitening trays to fit your mouth, making treatment more comfortable and adjustable. Once the last session has been completed you won’t be able to stop yourself smiling! One of the most appealing features of the treatment is that it provides lasting results, as long as you wear the trays for 6 nights a year after your session and maintain a good level of oral hygiene the results should have a lasting effect. Professional advice on product and concentration. Pre and Post treatment care. ‘Before and after’ shade analysis to measure success. Temporary tooth sensitivity (up to a few days). Doesn’t whiten false teeth, bridges, crowns and tooth coloured fillings. Opalescence is another great contender with over 20 years’ experience as a leader in teeth whitening! One component that we love is how this treatment utilises oxygen molecules to whiten throughout the mouth! As part of the procedure, your Dentist will prepare a set of trays that come with a gel. The gels contain an active whitening ingredient that enters your enamel, this removes discoloured patches toothpaste and mouthwash cannot reach. As a result, you are left with a brighter, whiter smile, free of any blemishes. Pop by either of our Colchester practices to discuss your options with your Dentist and Opalescence is the cheaper option of the two you have even more reason to smile! Opalescence is one of our most popular teeth whitening treatments, it’s easily customisable for each patient’s individual situation and pretty comfortable. The gel used in this treatment has a high level of water, this means Opalescence is safer as it avoids drying your teeth! Formulated to prevent dehydration and shade relapse. Opalescence has over 20 years of experience in the whitening industry. Opalescence comes in varied strengths, so teeth look more naturally white. Sticky, viscous gel won’t move to gums or cheeks. Temporary tooth sensitivity (fading quickly). Prettygate Dental is proudly stationed in Colchester, we provide both treatments and are currently offering 25% off on all teeth whitening treatments. From the first time you contact us to your seamless goodbye smile, our dentists and hygienists strive to create an easy and comfortable dental experience. For more information, don’t hesitate to check out our website and other blogs. Or leave a comment below and one of our lovely team members will get back to you faster than you can say ‘teeth whitening’!